​After over 25 years of working in Genesee County to build homes, communities and hope, we are continuously energized by the support of our donors and filled with gratitude for those to choose to give to our mission on a regular basis. 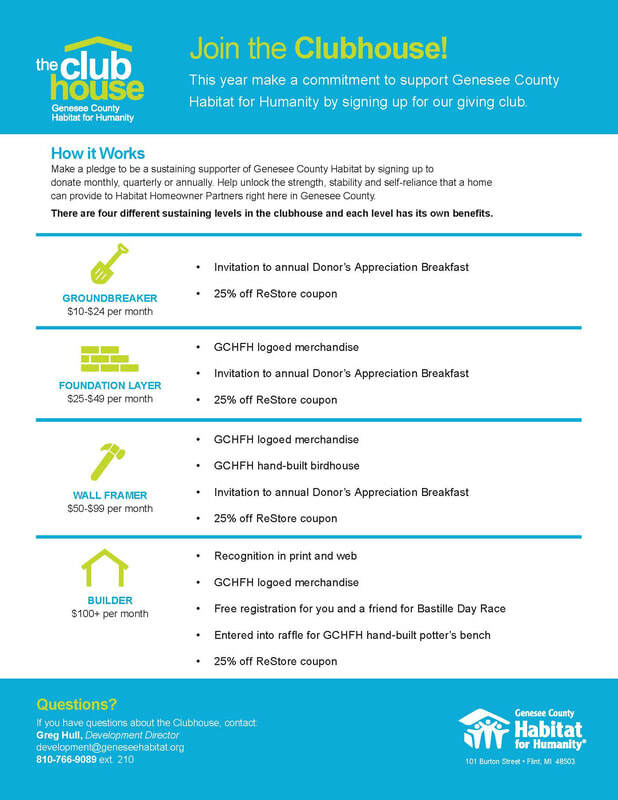 Make a pledge to be a sustaining supporter of Genesee County Habitat for Humanity by signing up to give monthly. Help unlock the strength, stability and self-reliance that home can provide to Habitat Homeowner Partners right here in Genesee County. 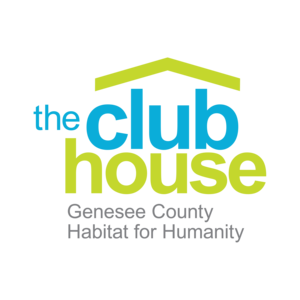 When you join the Clubhouse you become part of dedicated giving community committed to making homeownership a reality for families in our community.